Banking is a sector of the Chinese economy that is opening to foreign participation only gradually. With its entry into the World Trade Organization in late 2001, China pledged to provide full access for foreign banks over a five-year period starting from the year of accession. As in most other countries, banking and the financial sector in general is regarded by the Chinese government to be of strategic importance and thus sensitive. So the access is coming after most of the other economic sectors have already opened up to foreign participation. One should remember that until very recently foreign banking institutions have played only a very marginal role in terms of market access and market penetration. They were almost all thrown out of China in the years immediately after 1949, but four banks were allowed to retain dormant offices in Shanghai – Bank of East Asia, Banque Indosuez, the Hongkong & Shanghai Banking Corp (HSBC) and Standard Chartered. Thirty years later, in 1979, HSBC's foreign rep in Shanghai was still effectively being held hostage, unable to leave the country until another foreigner arrived to replace him. 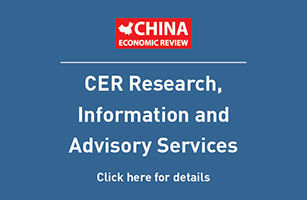 Such requirements were somewhat at variance with international banking norms and were corrected in the first flush of China's reconnection with the world in the early 1980s. But it has still been a long hard haul back to normal banking activity. Initially, foreign banks were only allowed to set up representative offices in Beijing, followed a few years later by Shanghai and during subsequent years in an increasing number of cities. By the mid 1980s foreign banks were allowed to establish branch offices or subsidiaries in Shenzhen and the other three Special Economic Zones at that time – Xiamen, Shantou and Zhuhai. By late 1996 some foreign banks, having met the central bank's (People's Bank of China or PBOC) requirements, were beginning to probe their way into local currency (RMB) business, but still only with foreign companies. Every year since then more foreign banks have been added to the list of banks eligible to do local currency business. There are now something like 200 foreign banks present in China in the form of representative offices in Beijing and other cities, while some 60 banks have established branches, subsidiary banks or JV banks. But by 2003 they only accounted for, at best, 2% of the market. With China's WTO entry, the pace of opening up for foreign banks has accelerated and today eligible foreign banks are allowed to do business in foreign currency with Chinese companies and individuals as well as with foreign companies. In 2006 or 2007, the last hurdle – the restriction on doing business in local currency with local companies and locals – will be removed. Some of the larger foreign banks in the market – HSBC, Standard Chartered, Citigroup etc – often with the involvement of the International Finance Corporation (IFC) under the World Bank, have acquired, or are in the process of acquiring, minority stakes in Chinese banks such as Shanghai Pudong Development Bank, Shenzhen Development Bank and Bank of Shanghai, to name a few. Anyone who has worked in the banking industry in China – I personally have 13 years of experience in Beijing and Shanghai – will testify that, until recently, conducting banking business has mostly been a frustrating and erratic experience, in that foreign banks were effectively limited to conducting "offshore banking" onshore. Which means that foreign banks were supposed to only do foreign currency business with foreign companies. China will remain a difficult market to penetrate and only the most committed (in terms of capital, knowledge and patience) will be able to develop their business successfully. Over time, and as the market matures and becomes more clearly segmented, there will be more opportunities for mid- or small-sized foreign banks. In this evolving segmentation process, new and clearer layers of the Chinese market will become more interesting to foreign banks. All foreign banks naturally covet the very high savings rate in the country, and in particular the affluent and high net-worth individuals who account for an important chunk of the total. Some banks, like HSBC, Standard Chartered and Citigroup, will have a particular interest in growing their business in consumer banking such as credit cards. At the beginning of this year HSBC and Citigroup were the first two foreign banks to be authorized to offer local credit cards. With the emerging segmentation of the banking market foreign banks will be able to develop and apply customer relationship management methods they have used in other countries. Chinese high net-worth individuals could provide a lot of interesting business opportunities for foreign banks, as long as some regulations are changed, such as making the RMB convertible enough to allow Chinese citizens to invest outside of China. As long as the constraints on Chinese currency convertibility remain, foreign banks will have difficulty differentiating themselves from their Chinese peers. Chinese banks, despite their financial woes, remain formidable competitors. Through the cooperation agreements Chinese banks have with securities houses and insurance companies Chinese customers can gain access the stock market and insurance products and this is a major advantage over foreign players hoping to get in on the action. Only the biggest foreign banks will have the resources to venture into high street banking. The vast majority of foreign banks will concentrate on serving their home markets' customers. Online banking is something that is catching on quickly in China and nowadays all Chinese banks offer various degrees of Internet services. Certain foreign banks which have been able to distinguish themselves internationally in internet banking will certainly have a positive impact in China.